Rockstar Energy Drink Mayhem Festival will take place in 26 cities across the United States and Canada. 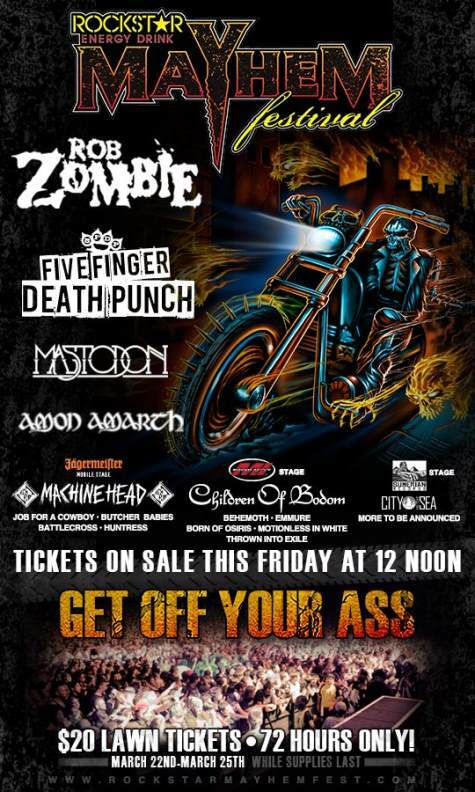 Rob Zombie, Machine Head and Children Of Bodom are among the bands that will perform at the Rockstar Energy Drink Mayhem Festival 2013 festival. All tickets go on sale March 22 at 12:00 noon local venue time.